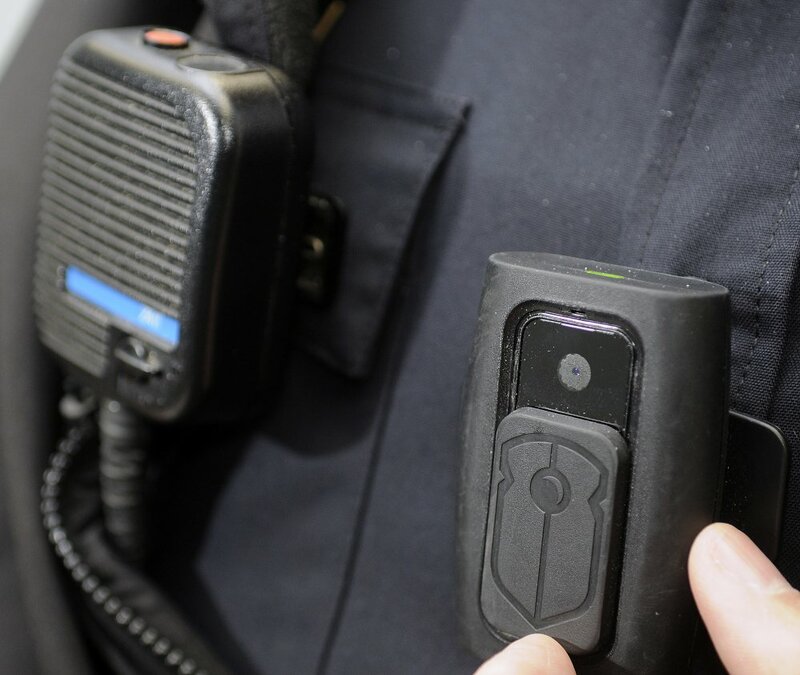 A body camera, right, is attached to the chest of a Gardiner police officer. The camera records video and audio when the officer turns it on. A body camera, right, is attached to the chest of a Gardiner police officer on Thursday. The camera records video and audio when the officer turns it on.